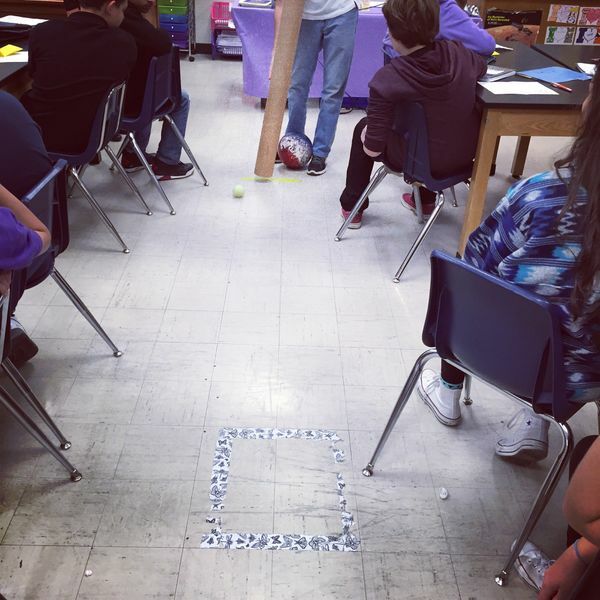 8th grade students were reviewing Newton's Laws of Motion today in science class. Some great 1st Law demos were done. Here, a student helps show the difference in acceleration of two objects of different masses (given the same force), otherwise known as F=ma, which is Newton's 2nd Law. Newton's Laws always bring back some of my favorite memories from teaching physics!